– Mr Yang studied at Raffles Institution (Gifted Education Programme) and graduated from Raffles Junior College with straight As in all subjects, including Chemistry. In 2002, he was awarded the Public Service Commission Scholarship (Education) and read Chemistry at the National University of Singapore (NUS). There, he was placed on the Dean’s List and graduated with a Bachelor of Science (Chemistry, 2nd Upper Honors). 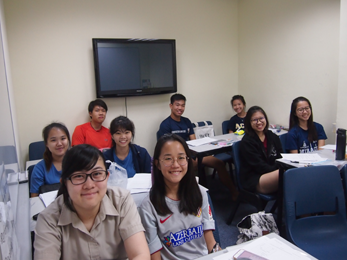 Mr Yang has had 4 years’of lecturing and tutoring experience at the Junior College level. During that time, his classes consistently ranked highly for value-addedness. He was effective, committed and responsible, and as a result of that, he was appointed a subject coordinator for the GCE ‘A’ Level Science Practical Assessment (SPA) in his college. 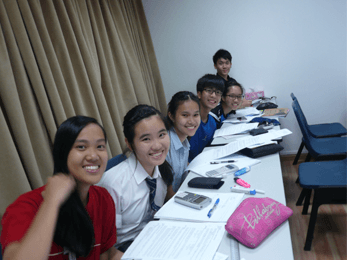 Mr Yang firmly believes that each student has his/her own learning style, and students should, therefore, be guided towards developing personalized study methods which work best for them. He sees tuition, with its smaller class sizes as an ideal opportunity to do so. Lastly, JC Chemistry has become more challenging in recent years. The style of questioning has changed, and the papers are no longer as straightforward as they used to be. The notes provided are excellent, and clearly show & explain what we need to learn. Compared to my school notes, Mr. Yang’s notes are much more clear and concise. I don’t need to waste time flipping through pages and pages to find what I need. Mr Yang’s lessons are also top-notch. He teaches us well and can pick up on when we are confused a go more in-depth to help us understand. Compared to my lectures and tutorials in school, I can learn much better under Mr. Yang due to smaller class size and his skilled teaching. Mr. Yang also prevents us from burning out by inserting humour and anecdotes into his lessons and keeping things fun. Mr. Yang himself is kind, funny, understanding and very knowledgeable. He teaches us well and keeps us engaged. Thanks Mr Yang!! A Level Chemistry is much more challenging than O Level Chemistry to me, but attending lessons at Miracle Learning Centre has made the subject easier for me to understand. I find the way Mr Yang teaches concepts very helpful and engaging as the lessons are unlike everyday lessons in school. This made me more prepared for the actual A Levels. 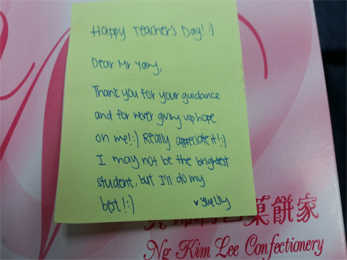 The notes given by Mr Yang is also concise and was a good complement to the notes I was given in school. 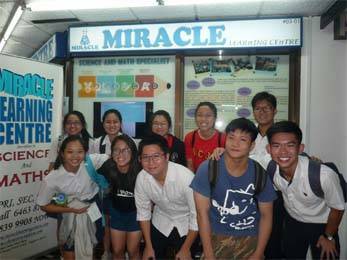 I believe anyone struggling with Chemistry, especially in JC can benefit greatly from the lessons in Miracle Learning Centre. 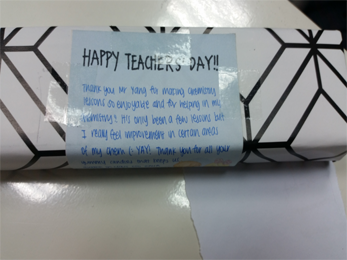 Mr. Yang is a very approachable and engaging teacher who helped me to improve tremendously despite me joining the tuition late (start of JC2). The notes provided are concise and easy to understand. A level Chemistry has been especially tough for me since the start of JC and I only came for Mr. Yang’s class in the middle of JC2 and really regretted not coming earlier HAHA. But thank you, Mr. Yang, for really helping me through H2 Chemistry! Jia you for Chem JC1s! Practice, practice, practice and don’t give up!!! You’ll get there! Helped my Chemistry improved in JC1! Cleared up my doubts and had all my concepts clarified. The tutor is funny and engaging and uses interesting analogies to explain things. He provides good notes that are very concise and detailed, very good to study when you are pressed for time. Mr Yang is an approachable and extremely dedicated teacher. With his help, my chemistry results improved to a higher B! Would definitely recommend him to my juniors! Mr Yang is well-versed in his H2 Chemistry and more! He is always willing to answer questions both inside and outside of tuition. I would not have been able to improve so much if it weren't for his advice and guidance. As long as you are willing to work with him, I am sure anyone would be able to do better! Thank you Mr Yang for being very encouraging and engaging during class. 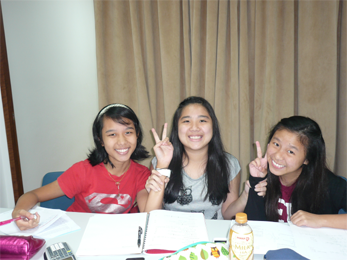 Learning chemistry became fun and interesting because of your chemistry tuition lessons.